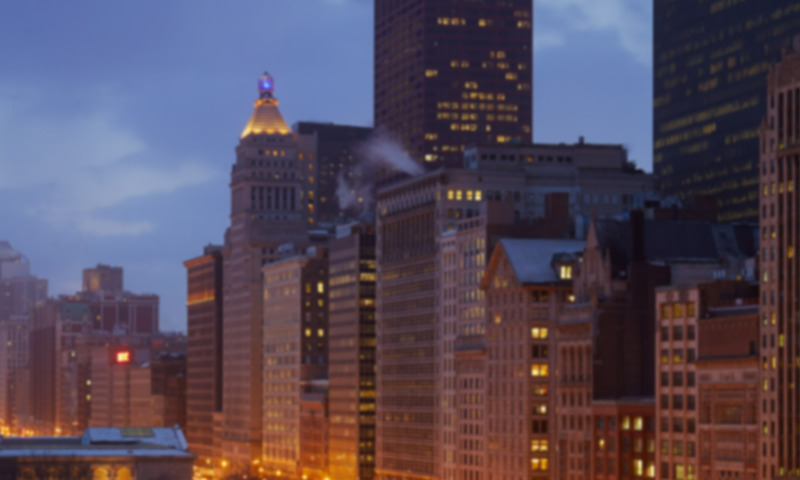 CHICAGO and WASHINGTON, March 20, 2017 /PRNewswire/ — The parent company of Cision, a leading global provider of cloud-based earned media solutions, and Capitol Acquisition Corp. III (NASDAQ: CLAC; “Capitol”), a public investment vehicle, announced that they have entered into a definitive agreement in which Cision will become a publicly listed company with an anticipated initial enterprise value of approximately $2.4 billion. Cision delivers a sophisticated, easy-to-use platform for communicators to reach relevant media influencers and craft compelling campaigns that impact customer behavior. With rich monitoring and analytics, the Cision Communications Cloud arms brands with the insights they need to link their earned media to strategic business objectives, while aligning it with owned and paid channels. This platform enables companies and brands to build consistent, meaningful and enduring relationships with influencers and buyers in order to amplify their marketplace influence. Cision’s management team, led by CEO Kevin Akeroyd and CFO Jack Pearlstein, will continue to run the combined company post-transaction. Capitol Chairman and CEO, Mark Ein, will join the combined company’s board of directors and serve as Vice Chairman. Capitol’s President and CFO, Dyson Dryden, will also join the board. The rise of marketing technology is driving increased investment in communications and PR. According to Gartner Inc., marketing technology spend is expected to exceed spend on core enterprise IT by 2017 and is growing at a much faster rate (12% vs. 3%, respectively). With the effectiveness of paid advertising declining, as evidenced by GlobalWebIndex research indicating that 60% of desktop users have used ad-blockers, marketing technology spend is shifting toward earned media channels. These tailwinds, coupled with strategic flexibility provided by the merger, will broaden Cision’s market opportunity beyond leadership in global communications intelligence software and services, a $3 billion industry according to Burton-Taylor International Consulting LLC, into the marketing software market, which IDC estimates will reach $32 billion by 2018, and ultimately into the broader digital marketing and data markets. Under the terms of the proposed transaction, the combination will be effected through a “contribution and exchange” pursuant to which Cision will be contributed to a wholly owned subsidiary of Capitol (“Holdings”) that will become a publicly traded entity following a subsequent merger of a subsidiary of Holdings into Capitol. The combined company will have an anticipated initial enterprise value of approximately $2.4 billion implying a 10.5x multiple of projected 2017 Adjusted EBITDA and a multiple of 9.2x projected 2018 Adjusted EBITDA. GTCR and current management are retaining 100% of their equity in the company. At closing, current Cision shareholders and current stockholders of Capitol will hold approximately 68% and 32%, respectively, of the issued and outstanding shares of the new publicly traded company’s common stock, with GTCR remaining a majority owner. A portion of the consideration to Cision’s shareholders will be in the form of incentive earnout shares totaling up to 6 million common shares, issued in 2 million increments when the combined company’s stock price reaches $13.00, $16.00 and $19.00 per share. The net cash proceeds from this transaction are expected to be used to pay down Cision’s existing second lien debt. The boards of directors of both Capitol and Cision have unanimously approved the proposed transaction. Completion of the transaction, which is expected in the second quarter of 2017, is subject to approval by Capitol stockholders and other customary closing conditions. For additional information on the transaction, see Capitol’s Current Report on Form 8-K, which will be filed promptly and which can be obtained, without charge, at the Securities and Exchange Commission’s internet site (http://www.sec.gov). Citigroup Global Markets Inc., Deutsche Bank Securities Inc. and Credit Suisse served as financial and capital markets advisors to Capitol. PJT Partners served as financial advisor to Cision. Latham & Watkins LLP and Graubard Miller acted as legal advisors to Capitol and Kirkland & Ellis LLP acted as legal advisor to Cision. Capitol intends to file a proxy statement, prospectus and other relevant documents with the Securities and Exchange Commission (“SEC”) to be used at its annual meeting of stockholders to approve the proposed transaction with Cision. The proxy statement will be mailed to stockholders as of a record date to be established for voting on the proposed business combination. INVESTORS AND SECURITY HOLDERS OF CAPITOL, CISION AND HOLDINGS ARE URGED TO READ THE PROXY STATEMENT, PROSPECTUS AND OTHER RELEVANT DOCUMENTS THAT WILL BE FILED WITH THE SEC CAREFULLY AND IN THEIR ENTIRETY WHEN THEY BECOME AVAILABLE BECAUSE THEY WILL CONTAIN IMPORTANT INFORMATION ABOUT THE PROPOSED TRANSACTION. Investors and security holders will be able to obtain free copies of the proxy statement, prospectus and other documents containing important information about Capitol, Cision and Holdings once such documents are filed with the SEC, through the website maintained by the SEC at http://www.sec.gov. Copies of the documents filed with the SEC by Capitol and/or Cision when and if available, can be obtained free of charge on Capitol’s website at www.capitolacquisition.com or by directing a written request to Capitol Acquisition Corp. III, 509 7th Street NW, Washington D.C. 20004 or by emailing info@capitolacquisition.com; and/or on Cision’s website at www.cision.com or by directing a written request to Cision, 130 East Randolph St. 7th Floor, Chicago, IL 60601 or by emailing askcision@cision.com. Capitol, Cision, Holdings and their respective directors and executive officers, under SEC rules, may be deemed to be participants in the solicitation of proxies of Capitol’s stockholders in connection with the proposed transaction. Investors and security holders may obtain more detailed information regarding the names and interests in the proposed transaction of Capitol’s directors and officers in Capitol’s filings with the SEC, including Capitol’s Annual Report on Form 10-K for the fiscal year ended December 31, 2016, which was filed with the SEC on March 10, 2017. Information regarding the persons who may, under SEC rules, be deemed participants in the solicitation of proxies to Capitol’s shareholders in connection with the proposed business combination will be set forth in the Registration Statement for the proposed business combination when available. Additional information regarding the interests of participants in the solicitation of proxies in connection with the proposed business combination will be included in the Registration Statement that Capitol intends to cause Holdings to file with the SEC. Capitol will host a conference call to discuss the proposed business combination with the investment community on Monday, March 20th, at 11:00am EDT. Investors may listen to the conference call by dialing (888) 317-6003 toll-free in the U.S. or (412) 317-6061 internationally and entering conference number 0376345. The presentation slides will be available at www.capitolacquisition.com. To access the replay, the domestic toll-free access number is (877) 344-7529 and participants should provide the conference number of 10103462. Cision is a leading media communication technology and analytics company that enables marketers and communicators to effectively manage their earned media programs in coordination with paid and owned channels to drive business impact. As the creator of the Cision Communications Cloud , the first-of-its-kind earned media cloud-based platform, Cision has combined cutting-edge data, analytics, technology and services into a unified communication ecosystem that brands can use to build consistent, meaningful and enduring relationships with influencers and buyers in order to amplify their marketplace influence. Cision solutions also include market-leading media technologies such as PR Newswire, Gorkana, PRWeb, Help a Reporter Out (HARO) and iContact. Cision serves over 75,000 customers in 170 countries and 40 languages worldwide, and maintains offices in North America, Europe, the Middle East, Asia, and Latin America. For more information, visit www.cision.com or follow @Cision on Twitter. This press release includes “forward looking statements” within the meaning of the “safe harbor” provisions of the United States Private Securities Litigation Reform Act of 1995. When used in this press release, the words “estimates,” “projected,” “expects,” “anticipates,” “forecasts,” “plans,” “intends,” “believes,” “seeks,” “may,” “will,” “should,” “future,” “propose” and variations of these words or similar expressions (or the negative versions of such words or expressions) are intended to identify forward-looking statements. These forward-looking statements are not guarantees of future performance, conditions or results, and involve a number of known and unknown risks, uncertainties, assumptions and other important factors, many of which are outside Capitol’s or Cision’s management’s control, that could cause actual results or outcomes to differ materially from those discussed in the forward-looking statements. Important factors, among others, that may affect actual results or outcomes include: the inability to complete the transactions contemplated by the proposed business combination; the inability to recognize the anticipated benefits of the proposed business combination, which may be affected by, among other things, the amount of cash available following any redemptions by Capitol stockholders; the ability to meet NASDAQ’s listing standards following the consummation of the transactions contemplated by the proposed business combination; costs related to the proposed business combination; Cision’s ability to execute on its plans to develop and market new products and the timing of these development programs; Cision’s estimates of the size of the markets for its solutions; the rate and degree of market acceptance of Cision’s solutions; the success of other competing technologies that may become available; Cision’s ability to identify and integrate acquisitions; the performance and security of Cision’s services; potential litigation involving Capitol or Cision; and general economic and market conditions impacting demand for Cision’s services. Other factors include the possibility that the proposed transaction does not close, including due to the failure to receive required security holder approvals, or the failure of other closing conditions. Neither Capitol nor Cision undertake any obligation to update or revise any forward-looking statements, whether as a result of new information, future events or otherwise, except as required by law.